Ashley is a wife and a mother to five beautiful children. 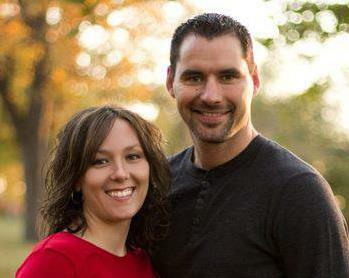 She and her husband Ryan live in the small Midwestern community of LaHarpe IL. Her spiritual journey began as a teenager, but like many young men and women, she quickly fell prey to the distractions of this world. As an adult desperately seeking to understand her purpose in life, she found answers in Christ. Ashley credits her spiritual growth to her church family who saw value where she did not. Her development as a Christian woman can be seen through her love and compassion for those in need. She teaches Sunday school at her home church, and frequently serves on the mission field—both domestically and abroad. Her hobbies include crafting, baking, and fellowship with friends and family. Just click on Get Involved above!